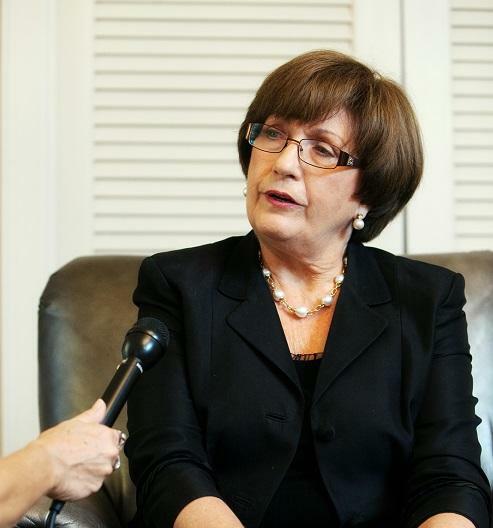 Former Governor Kathleen Blanco stood at the center of a political storm that swirled around the response to Hurricane Katrina. Like all of us who were here for the storm and its aftermath, her memories are filled with stories of fear and courage, heartbreak and healing. She shares the moment when Katrina transformed from pure tragedy to trust in the resilience of Louisiana's citizens. This month, as part of WWNO's ongoing Katrina 10 coverage, we bring you The Katrina Files: Reflections from First Responders. This series is based on oral histories conducted by The Historic New Orleans Collection and hosted by Paul Maassen. Click here to listen to the latest edition of The Katrina Files. This episode features interviews with the 39th Infantry Brigade of the Arkansas Army National Guard, which was the first unit called after Katrina to back up the Louisiana National Guard. Kathleen Blanco is the only woman to be elected governor of Louisiana, and was at the helm when Hurricane Katrina laid waste to the Gulf Coast. She admits that the challenges of the storm were too much for state and local governments to handle.